Galvanized tin cake stands with scallop edge. Availability & Pricing: Add your favorite pieces to your wish list, send it our way, and we’ll get back to you with availability and a custom quote. 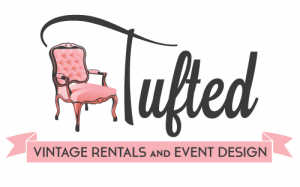 You can also email info@tuftedvintagerentals.com with questions.